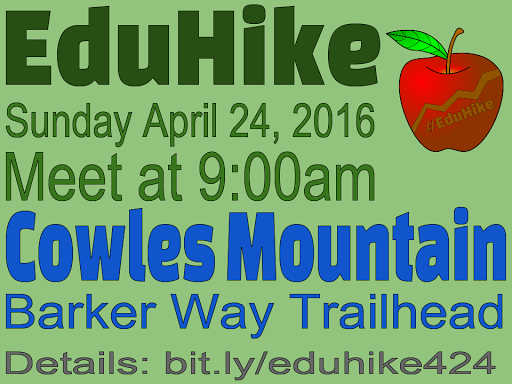 Why I love GAFE Summits! Justin Birckbichlerat GAFE Summit IV. Thanks for having fun with us, Ari! It seems that all EdTech-y people hit a wall at some point in their conference-going life when they are no longer blown away by new tech tools, apps, or devices. The first few are always “drinking from a fire hose” experiences, but even the best tech conferences eventually slows down into a small trickle. 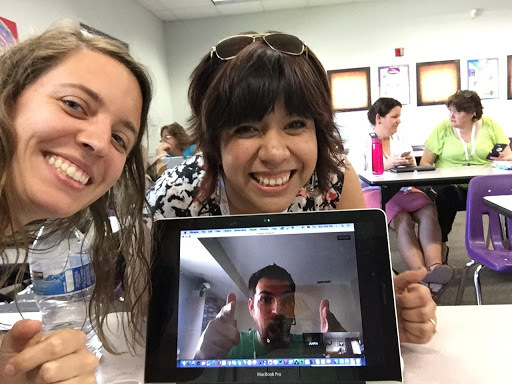 I attended my first GAFE Summit in LA County in March 2016, and had my mind blown. It wasn’t the apps, it’s wasn’t the willingness of all to learn, and it wasn’t even the stellar presenters and speakers–it was the people! This was the first conference where I felt confident in my abilities as an EdTech leader (yes, I now see myself as a leader!) and in the connections I made with other people. I went into that first GAFE Summit knowing only one person, and left knowing dozens more. 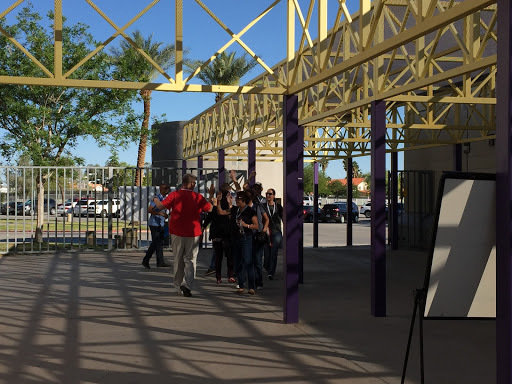 Reflecting on my second GAFE Summit (Imperial Valley! 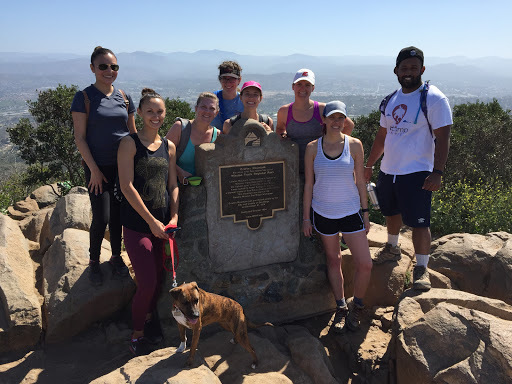 ), I have had a similar experience feeling energized by the amazing people. The conversations I had at lunch, between, and even during sessions push my thinking and drive me to take more risks. I’m thankful for the EdTechTeam summit team for all the laughs, inspiring keynotes, and for making the experience seamless and wonderful weekend. I presented in four of the eight sessions, and I felt so much love and support from the participants. They were all willing to learn, grow, and push their own abilities to learn new tech tools. This is our friendship. Exactly. Another great thing that has come out of my recent conference experiences is the opportunity to collaborate with Ari Flewelling (@EdTechAri). We’ve started a half goofy and half serious YouTube show called “EdTech Adventures with Ari and Mari” where we talk about the latest fun in the edtech world. Going back to watch it, we are pretty weird and silly, but it’s awesome and we bring up excellent points. In Jason Markey‘s closing keynote, he put up the quote “Friendship is born at that moment when one person says to another: ‘What! You too? 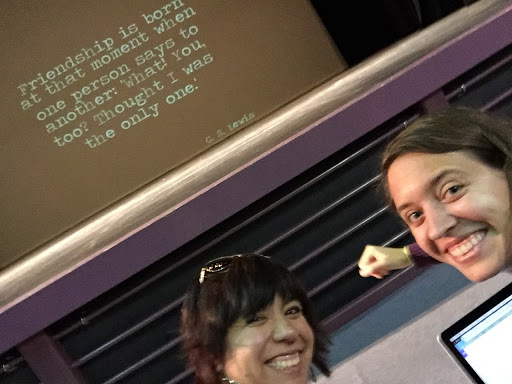 Thought I was the only one.’ -CS Lewis” Ari and I tried to get a selfie with the quote, but Jason changed the slide too quickly. I must have said “oh darn!” out loud or something, because Jason switched it back for us to get our selfie, then carried on with his keynote. But it’s the perfect quote for this friendship! – “Think Open” is a concept brought up by the one and only Dee Lanier. He definitely challenged us to think about the accessibility of what we are doing, and if it can be achieved on any platform. It has made me reconsider the emphasis I put on specific apps, and shift to the technology skills I want my students to have, no matter the device. Mind Mapping success with Dee Lanier! – Mind Maps: Mind blown! Thanks again, Dee Lanier. I too often put myself in the “not an artist” box, then walk away. 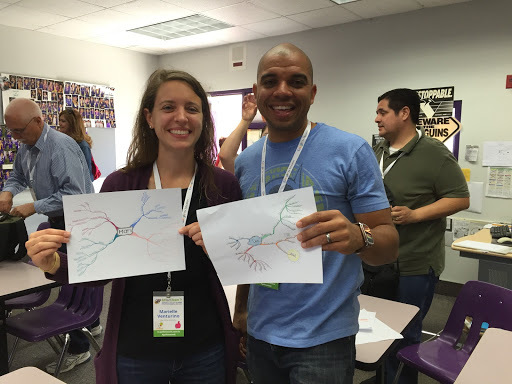 I appreciated Dee’s session, and felt him instill authentic confidence in the participants that we can be creative and use colored pencils to convey our ideas through Mind Maps. I’m so excited to go check out Tony Buzan’s books on Mind Mapping so I can bring this (and sketchnoting) to my students. – Fluffy is a powerful friend. I had people who wanted pictures with Fluffy (a picture with me was obviously secondary in that request), and others who knew me as “oh you’re the one with the unicorn!” Thanks Fluffy! It was an amazing weekend in El Centro. Can’t wait for the next one!